State Bank of India (SBI) PO are invited to Online Application Form for the Post of Probationary Officer SBI PO Recruitment 2019. Those Candidates are interested to the Following Recruitment and Completed the All Education and Eligibility Criteria and Experience Can read the full notification and apply online. Age Limit: Not below 21 years and not above 30 years as on 01.04.2019 i.e. candidates must have been born not later than 01.04.1998 and not earlier than 02.04.1989 (both days inclusive). Age relaxation is as per rules. Educational Qualification: Graduation in any discipline from a recognised University or any equivalent qualification recognised as such by the Central Government. Those who are in the Final Year/ Semester of their Graduation may also apply provisionally subject to the condition that, if called for interview, they will have to produce proof of having passed the graduation examination on or before 31.08.2019. 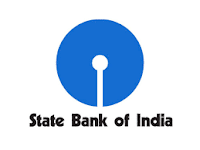 Eligible and interested candidates may apply online through the SBI Bank Official website https://www.sbi.co.in from 02/04/2019 to 22/04/2019.